To elucidate the practices that Karina Fincap Limited follows in all its dealings with its clients and other stakeholders, practices that are fair to the client, practices that are transparent, unambiguous and non-detrimental to the interests of the clients. 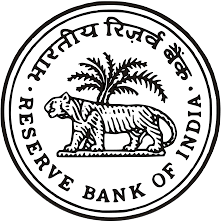 Pursuant to the directions laid down by the Reserve Bank of India vide its circular DNBS.CC.PD.No.320 /03.10.01/2012-13 in setting up Fair Practices Code, Karina Fincap Limited adheres to the following Fair Practices Code. Rate of Interest charged by NBFC. Loan application forms shall include necessary information which affects the interest of the borrower, so that a meaningful comparison with the terms and conditions offered by other NBFCs can be made and informed decision can be taken by the borrower. The loan application form indicates the documents required to be submitted along with the application form. The company shall provide acknowledgement for receipt of all loan applications. The acknowledgement includes the time frame within which loan applications will be disposed off. The company shall convey in writing to the borrower in the vernacular language as understood by the borrower, by means of sanction letter or otherwise, the amount of loan sanctioned along with the terms and conditions including annualized rate of interest and method of application there of and shall keep on record the acceptance of these terms and conditions by the borrower. The loan agreement shall contain the Penal interest charged for late repayment. The Company shall furnish a copy of the loan agreement along with a copy each of all enclosures quoted in the loan agreement to all the borrowers at the time of sanction / disbursement of loans. The company shall give notice to the borrower of any change in the terms and conditions including disbursement schedule, interest rates, service charges, prepayment charges, etc. Any changes in interest rates and charges shall be effected only prospectively. The loan agreement shall contain the necessary provisions in this regard. The company shall release all securities on repayment of all dues or on realization of the outstanding amount of loan subject to any legitimate right or lien for any other claim the company shall have against the borrower. If the right of set off is to be exercised, the borrower shall be given notice about the same with full particulars about the remaining claims and the conditions under the company is entitled to retain the securities till the relevant claim is settled / paid. The Company shall frame appropriate internal principles and procedures for determining the interest rates and processing and other charges, if any, and also to ensure that they are not excessive. The Company shall, at the time of disbursal, ensure that the interest rate and other charges, if any, on loan and advances are in strict adherence to above referred internal principles and procedures. The Company shall disclose in the application form and explicitly in the sanction letter the rate of interest and the approach for gradation of risk and rationale for charging different rate of interest to different categories of borrowers. The Company shall publish the rates of interest and the approach for gradation of risks in the relevant newspapers or in the website of the Company, and shall be updated whenever there is a change in the rate of interest. The rate of interest shall be annualized rates to make the borrower aware of the exact rates that would be charged to the account. The company shall refrain from interference in the affairs of the borrower except for the purposes provided in the terms and conditions of the loan agreement (unless new information, not earlier disclosed by the borrower, has come to the notice of the lender). In the matter of recovery of loans, the company shall not resort to undue harassment viz. persistently bothering the borrowers at odd hours, use of muscle power for recovery of loans. The contract / loan agreement contains an inbuilt re-possession clause which is legally enforceable. Ensure the KYC guidelines stipulated by RBI are complied with and to ensure that adequate due diligence is carried out on the customer before extending any loan. Proper assaying procedure for the jewellery received. Internal systems to satisfy ownership of the gold jewellery. Adequate systems for storing the jewellery in safe custody, reviewing the systems on an on-going basis,training the concerned staff and periodic inspection by internal auditors to ensure that the procedures are strictly adhered to. Normally, such loans should not extended by branches that do not have appropriate facility for storage of the jewellery. The jewellery accepted as collateral should be appropriately insured. Transparent auction procedure in case of non-repayment with adequate prior notice to the borrower. There should be no conflict of interest and the auction process must ensure that there is arm’s length relationship in all transactions during the auction including with group companies and related entities. The auction should be announced to the public by issue of advertisements in at least two newspapers, one in vernacular language and another in national daily newspaper. As a policy, the NBFCs themselves should not participate in the auction s held. The policy shall also cover systems and procedures to be put in place for dealings with fraud including separation of duties of mobilization, execution and approval. The loan agreement shall also disclose details regarding auction procedure. All disputes arising out of the decisions of the functionaries in relation to the products and services shall be heard and disposed off at least at the next higher level. Therefore, the 'Grievances Redressal Procedure' is put in place.